Samsung and LG are using Cadence's Tensilica HiFi Audio in their DTVs. System-on-chip (SoC) verification is a big job. That's why high-level verification languages like e and SystemVerilog were developed along with companion methodologies like the Universal Verification Methodology (UVM). But language and methodology only take you so far. Cadence provides additional productivity-boosting tools to help you configure, run, and analyze your design. With these products, you get up and running quickly and shorten your overall verification project. Verifying the standard interfaces in IP blocks and SoCs can be one of the most resource-intensive tasks for verification teams. Popular interface specification families such as ARM® AMBA®, DDR, MIPI, PCIe Express, USB and others have undergone major expansions in recent years. Verification engineers seldom have more than a couple weeks to ramp up on a new protocol before they have to start verifying designs incorporating it. Commercial VIP helps offload part of the verification effort, but engineers still need a window into the protocol-specific interactions between the design, the VIP, and the testbench to find the root causes of bugs. Such a window is provided by the Indago Protocol Debug App, which presents a holistic picture of the verification environment in four views. View registers, packets, state machines, lanes, queues configuration space, etc. The Channel Viewer portrays the communication between the design and VIP with a lab equipment-style view showing the sequence of transactions with protocol-specific labeling. The State Machine Viewer shows a graphical view of the state machines within the VIP components along with the causes of state transitions. The Life Story and Smart Log provide detailed views of all events pertaining to simulation objects and smart filtering of messages. Together, these views present an integrated picture of the design and verification environment to simplify the debugging process. PureView is a graphical cockpit used to configure all our VIP products. Many interface protocols have dozens of configuration options. To match a VIP component to your design, each option needs to be set correctly. It would be time-consuming and error-prone to set every parameter with a text command, but PureView makes it easy. The tool walks you through a hierarchy of menus to configure a VIP component. It only shows you relevant options based on previous choices and prevents illegal settings. PureView is also used to configure memory model options and TripleCheck tests. TripleCheck for MIPI UniPro 1.6 helps you verify that your design complies with the interface specification. This is different than a post-silicon compliance test that measures electrical parameters. TripleCheck works during pre-silicon logic simulation to stress-test functional behavior. TripleCheck is the third-generation compliance product to be offered by Cadence, delivering an enhanced test suite, coverage model, and verification plan. TripleCheck is integrated with our PureView solution for quick set-up. When you configure a VIP with PureView, the TripleCheck test suite, coverage model, and vPlan are automatically configured to match the VIP. TripleCheck provides an extensive library of test sequences to stimulate the design under test. The test library contains directed tests (providing quick checks for common protocol compliance issues) as well as constrained-random test sequences for exhaustive testing to detect corner-case bugs hidden in the design. The tests support error injection in each layer of the protocol stack to check operation of the design when faced with non-compliant stimulus. This combination of directed and constrained-random tests results in high functional coverage, right out of the box. Coverage models are provided in both SystemVerilog and e verification languages. These pre-defined coverage models capture all data items and state machine transitions to track and measure verification progress. The coverage models are open and documented, which allows you to extend them with application-specific coverage definitions. TripleCheck provides a verification plan that mirrors the protocol specification. All the requirements in the protocol specification are listed in the plan and organized into the same chapter and paragraph hierarchy. The vPlan is linked to the coverage model so that the coverage data captured during simulation runs is automatically mapped against the plan. This makes it easy to track verification progress and determine how much work remains. The vPlan is written in XML to enable portability between simulation environments. In the Xcelium™ simulation environment, TripleCheck integrates with the vManagert tool to enable a number of productivity-boosting features, such as bucket analysis to analyze coverage details and test profiling to sort out unproductive test sequences. TripleCheck is a third-generation pre-silicon compliance test suite solution. It combines the features from Cadence's other test suite solutions to deliver the most advanced pre-silicon compliance test suite on the market. Industry Insights: "Best Practices for Selecting and Using Verification IP"
TripleCheck for PCI Express helps you verify that your design complies with the interface specification. This is different than a post-silicon compliance test that measures electrical parameters. TripleCheck works during pre-silicon logic simulation to stress-test functional behavior. TripleCheck is the third-generation compliance product to be offered by Cadence, delivering an enhanced test suite, coverage model, and verification plan. For quick set-up, TripleCheck is integrated with our PureView solution. When you configure a VIP with PureView, the TripleCheck test suite, coverage model, and vPlan are automatically configured to match the VIP. The vPlan was built in accordance with the spec structure and formations, using the same sections, headlines, and quotations from the spec. Overall, the vPlan contains over 70 spec quotations, each of which is related to a coverage item. The testsuite is designed for robustness and can run on any simulator with any testbench language to achieve the same result. The TripleCheck VIP for CSI-2 provides an easier way to ramp up quickly on your verification tasks. The vPlan helps to focus on a specific feature in the spec. When we combine that with the ability of the testsuite to reach nearly every vPlan item, we verify the design effectively, easily, and methodically. In addition, using TripleCheck helps the team to assess the project's progress by tracking the overall coverage grade week by week. The vPlan can be filtered based on the specified configuration which holds a set of parameters describing the DUT. A user can match the VPlan sections to the DUT capabilities, thus allowing the vPlan to automatically filter portions of the spec that are irrelevant to a particular design. For some, it is important to reuse parts from an old environment. The vPlan's design allows users to incorporate the provided vPlan with the user's own vPlans. Moreover, the coverage model is not connected in any way to the testsuite, which means you can always run the legacy tests and collect coverage from those runs. The combination of visualization that TripleCheck allows and the industry-proven VIP for CSI-2 offer a complete solution for teams where time is of the essence. The TripleCheck VIP for CSI-2 supports the MIPI CSI-2 Receiver specifications developed and maintained by MIPI, which are accessible to registered users at: http://www.mipi.org. Runs on IES and VCS. Maps each vPlan item to a specific coverage group. vPlan for the different clauses separately. Is easily extended to reuse existing vPlans. The vPlan was built in accordance with the specification structure and formations, using the same sections, headlines, and quotations from the spec. Overall, the vPlan contains over 70 specification quotations, each of which is related to a coverage item. The testsuite is designed for robustness and can run on any simulator with any testbench language to achieve the same result. The TripleCheck VIP for DSI-2 provides an easier way to ramp up quickly on your verification tasks. The vPlan helps to focus on a specific feature in the specification. When we combine that with the ability of the testsuite to reach nearly every vPlan item, we verify the design effectively, easily, and methodically. In addition, using TripleCheck helps the team to assess progress of the project by tracking the overall coverage grade week by week. The vPlan can be filtered based on the specified configuration, which holds a set of parameters describing the DUT. You can match the vPlan sections to the DUT capabilities, thus allowing the vPlan to automatically filter portions of the specification that are irrelevant to a particular design. For some, it is important to reuse parts from an old environment. The design of the vPlan allows you to incorporate the provided vPlan with your existing vPlans. Moreover, the coverage model is not connected to the testsuite, which means you can always run the legacy tests and collect coverage. The combination of visualization that TripleCheck allows and the industry-proven VIP for DSI-2 offers a complete solution for teams where time is critical. The TripleCheck VIP for DSI-2 supports the MIPI DSI-2 specifications developed and maintained by MIPI, which are accessible to registered users at http://www.mipi.org. The vPlan was built in accordance to the specification structure and formations, using the same sections, headlines, and quotations from the specification. Overall, the vPlan contains specification quotations, each of which is related to a coverage item. The testsuite is designed for robustness and can run on any simulator with any testbench language to achieve the same result—at least 95% overall coverage score in our vPlan. 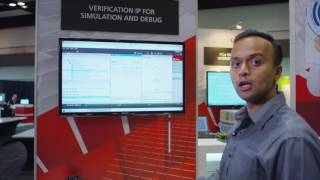 The TripleCheck IP Validator for MIPI I3C provides an easier way to ramp up quickly on your verification tasks. The vPlan helps to focus on a specific feature or those in the spec. When we combine that with the ability of the testsuite to reach nearly every vPlan item, we verify the design effectively, easily, and methodically. In addition, using the TripleCheck IP Validator for MIPI I3C helps the team to assess the project's progress by tracking the overall coverage grade week by week. The vPlan can be filtered based on the specified configuration, which holds a set of parameters describing the DUT. A user can match the vPlan sections to the design under test (DUT) capabilities, thus allowing the vPlan to automatically filter out portions of the specification that are irrelevant to a particular design. The combination of visualization that the TripleCheck IP Validator for MIPI I3C allows and the industry-proven VIP for I3C offers a complete solution for teams where time is is critical. The TripleCheck IP Validator for MIPI I3C supports the MIPI I3C specification version 1.0 and the I2C specification. The MIPI I3C specifications are accessible to registered users at www.mipi.org. TripleCheck for MIPI Soundwire helps you verify that your design complies with the interface specification. This is different than a post-silicon compliance test that measures electrical parameters. TripleCheck works during pre-silicon logic simulation to stress-test functional behavior. TripleCheck is the third-generation compliance product to be offered by Cadence, delivering an enhanced test suite, coverage model, and verification plan. The Cadence TripleCheck IP Validator for DisplayPort provides an easier way to ramp up quickly on your verification tasks. The vPlan helps to focus on a specific feature or those in the specification. When we combine that with the ability of the testsuite to reach every vPlan item, we ensure that the design works in compliance with the specifications, easily and methodically. In addition, by using a TripleCheck vPlan, the team can assess the project's progress by simply tracking the overall coverage grade week by week. The vPlans are built in accordance to the specification document structure, using the same sections and titles from the specification so that it is easier to check corresponding sections and annotations. The vPlan consists of "perspectives"—views of the vPlan that can be customized according to the DUT behavior using a set of parameters that roughly describe the DUT. A user is able to edit the perspective to match the DUT capabilities that allow the vPlan to automatically filter out portions of the specification that are irrelevant for a particular design. In case there is a significant chunk of legacy tests, verification engineers can leverage the coverage from this library of tests as well. The vPlan allows users to incorporate the TripleCheck-provided vPlan with the user's own vPlans. Moreover, the cumulative coverage from these tests as well as TripleCheck testsuite can be plotted on the same vPlan to enhance the reach of the solution according to customer needs. Currently, the TripleCheck solution contains over 250 self-checking tests in the testsuite based on VESA Compliance specification for DisplayPort and HDCP. The thorough testsuite, elaborated coverage model, and the vPlan visualization to track verification progress combined with the industry proven VIP for DisplayPort core offer a complete and monolithic solution for verification teams working on VIP for DisplayPort with consistent results when time to market is of essence. The specification can be downloaded from the website at http://www.vesa.org. Key features from the specification that are implemented in the VIP are listed in the table below. Stimulus and coverage collection for all applicable error scenarios. State machines Stimulus and coverage collection for all state machine transitions. Transaction formation rules Stimulus and coverage collection for all applicable transactions. Physical layer 4 MIPI D-PHYsm or C-PHYsm data lanes for the CSI-2 receiver DUT. Multi lane distribution and merging Distribution and merging of data between data lanes. Low level protocol CSI-2 frames and packet structures. Data Formats All valid CSI-2 data types. Annex C - CSI-2 recommended receiver error behavior Error scenarios in the D-PHY, packet, and frame layers. C-PHY errors Multiple error scenarios for C-PHY physical layer. MIPI CSI-2 Receiver Protocol Conformance Test Suite The TripleCheck test suite includes the implementation of all CTS tests that are defined in CSI-2 Receiver Protocol Conformance Test Suite Version 1.01. D-PHY v1.2 features The suite supports the D-PHY 1.2 skew calibration feature (Initial and Periodic) + low-power data after triggers. Physical layer Support C-PHY and D-PHY PPI interface for both master and slave configurations. UVM config suport Supports UVM config environments for all TripleCheck flavors. The Cadence® Verification IP (VIP) for USB 3.0 PureSuite provides a pre-built USB 3.0 compliance test suite. It complements the Cadence VIP for USB 3.0 by providing test sequences, test plan, and functional coverage that makes verification easier and faster. The VIP for USB 3.0 PureSuite provides support to verify the USB 3.0 Device or Host or PHY. It also provides test sequences to test backward compatibility with USB 2.0 and some USB 2.0 sequences as well. It is based upon System Verilog, available for both OVM and UVM, and runs on all leading simulators. The base specification for the USB 3.0 protocol is available at http://www.usb.org/developers/docs. A library of sequences and test scenarios generate constrained-random stimulus to target all aspects of the USB specification. The included test plan is based on the USB specification and covers all useful spec-defined cover points. A complete set of coverage points to cover the USB specification and all layers is defined.